(Issue 61) We don't send spam. We won't give out your email address. That Frankfurt Market splits opinion like nuclear fission splits an atom and the fall out is the same: Aggressive. We actually rather like it, but reckon we could all do with a year off so it can regain some of the charm it had in spades. Either way, there's homegrown talent a plenty that warrants large scale, open air love and pick of the lot is the Winter Market where a 50-strong army of exhibitors will be taking over The Bond Co, tomorrow (December 6). We’re whipping ourselves into a mulled frenzy over it and here's the stalls where we'll be spending unnerving volumes of time. Birmingham-based stationery and homewares design studio, Sparrow + Wolf, has made an incessant doodling habit into an international enterprise. You can even buy its products in Seoul. For those of you without imminent plans to visit South Korea, fortunately you can get your mitten-clad paws on its illustration-led designs from 12 to 6pm this very Saturday. 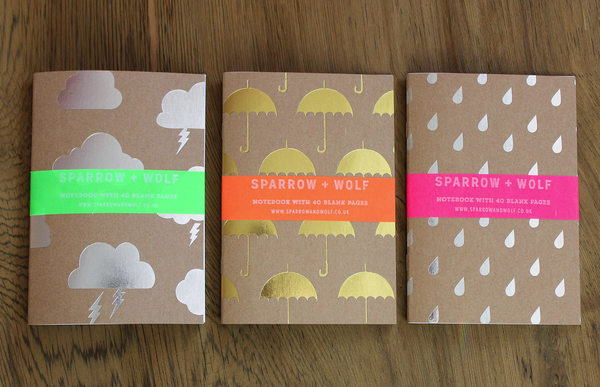 We've gone potty for this set of three A6 notebooks (£10). Did somebody say stocking fillers? Yes, it was the voices in your head. 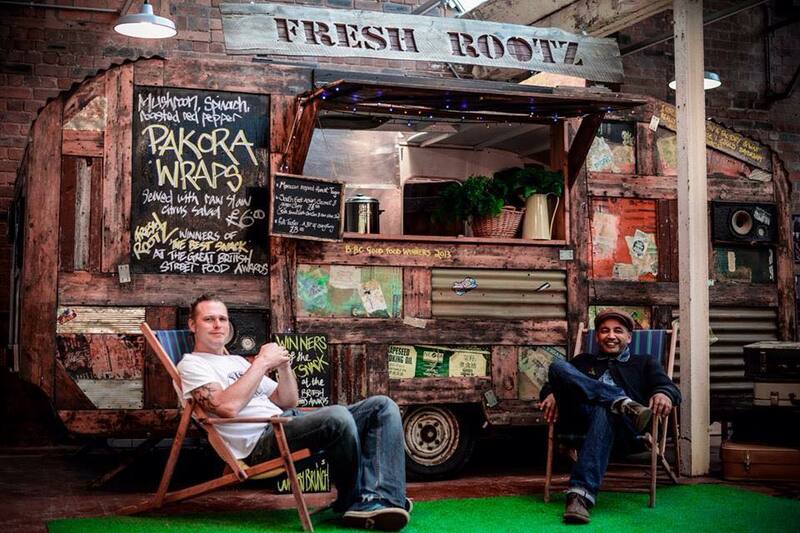 Winners of the 2014 British Street Food Awards “Best Snack”, Fresh Rootz is a humdinger of an addition to the already stonking street-food line up Seasonal Markets has sourced this quarter. The woodland mushroom, roasted pepper and spinach pakoras have us actively salivating, which is getting awkward given our shared use office. As for the North African spiced couscous and raw citrus slaw ceviche, stand in front us and take the last portion at your untimely peril. 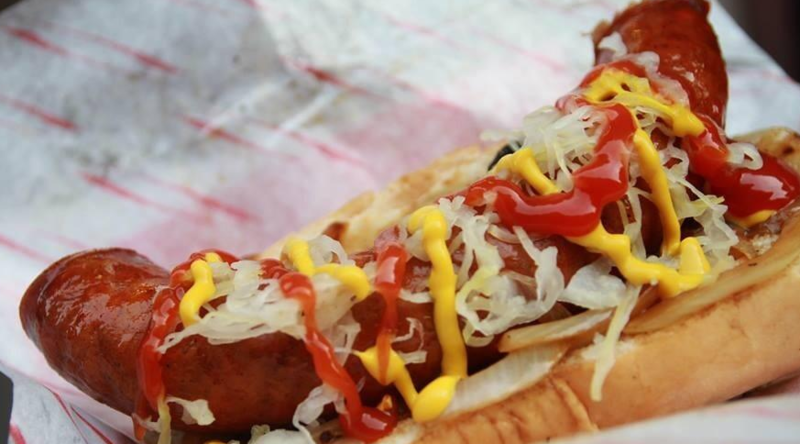 Hot dogs just got next level gourmet with a sausage selection to keep the most discerning of palates satisfied. Midlands-based and family run, Big Daddies Diner caters for everyone from bare-dawg purists to accoutrement heavy creations including Turbo Pete, The Edna and The JeffDog. Whichever of these joy-giving combos you opt for, make sure that Big Daddies’ homemade slaw and hot sauce feature prominently. That’s as close to an order as you’ll get from us. Public health warning: Wear more layers than those pictured. 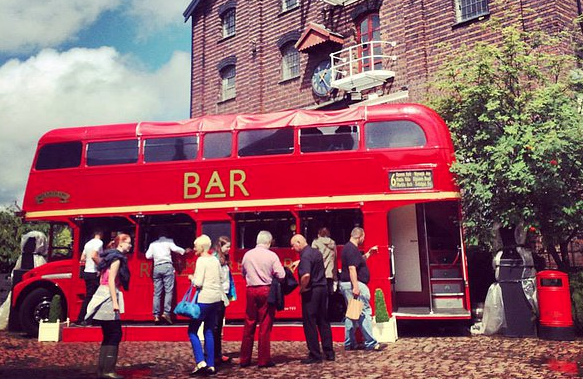 Now then, who doesn’t get excessively optimistic about life when a Routemaster Bus Bar forms part of their day? A regular feature at Seasonal Markets, this quarter the sheer quantity of mulled things promised alone necessitates a special visit. 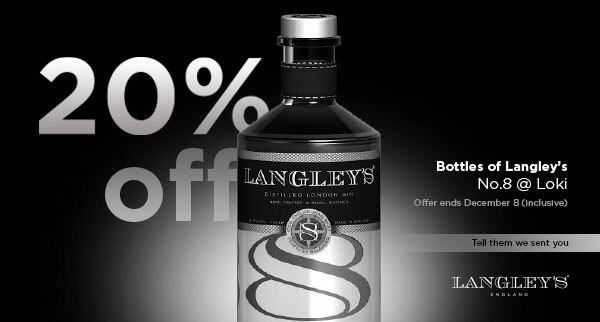 And let us tell you about something you most definitely won’t have seen at The Bond before. A "charidee" Chrimbo cinema will be running all day (think Elf, Home Alone 2) with all proceeds going to the good folk at St Basil’s. 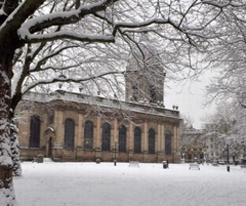 Entry to the Winter Market is £1.50 for adults, free for the miniature people. 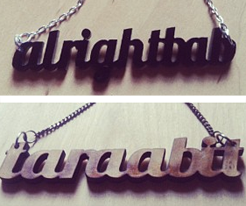 On Sunday (December 7), Cherry Reds will welcome a vintage salon, craft makers, workshops and a shed load of home wares plus Working Clasp Jewellery, who are responsible for our stocking filler of the year: alrightbab and taraabit necklaces. Well played. In conjunction with the CBD, Moseley Market's local artisans (think photographers, sculptors and metal workers) will be selling their top booty around Brum Cathedral on December 12. We’re going slightly barmy for Ken Hurd’s original watercolours. NB: Snow is not guaranteed. 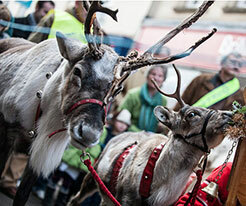 Digmas will be taking over the Custard Factory from 12.30pm on December 20. We could tell you about the live music, the vintage market, the Alfie Birds pop-up bar, or even Santa’s grotto, but really we just want to flag up the fact they’ve got real reindeer. That's nuf said. Look, we get it. You're not 16 so posters aren't really your bag. But if you're looking to spruce up your office, this might be a nice touch. Portuguese architect and illustrator, André Chiote, scours the globe with a single goal in mind: locating the doyens of the structural world. His journey has taken him to Rio’s Maracanã Stadium, the Doha Tower of Qatar, Beijing’s Bird’s Nest (remember that?) 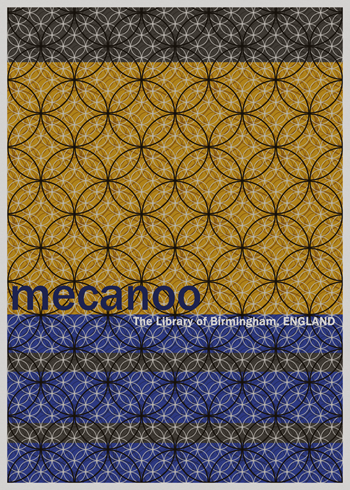 and - as usual, you’re one step ahead of us - the Library of Birmingham. You can buy a high definition digital print for upwards of €15 (£12). 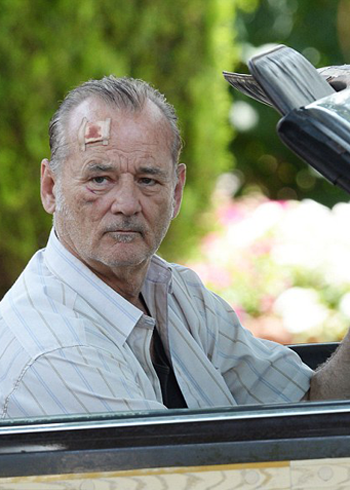 Just when you thought you couldn’t love Bill Murray more, he goes and drops this – the kind of performance nobody else could give. He excels here as a curmudgeonly old fart whose hard heart is melted when, in amongst his busy drinking and prostitute schedule, he befriends the lonely boy next door. It’s hardly unpredictable – you can guess the story’s shape in 30 seconds flat – but the real draw here is Murray, who you suspect may essentially just be playing himself. Given he’s perhaps the ultimate human being, that’s no bad thing. 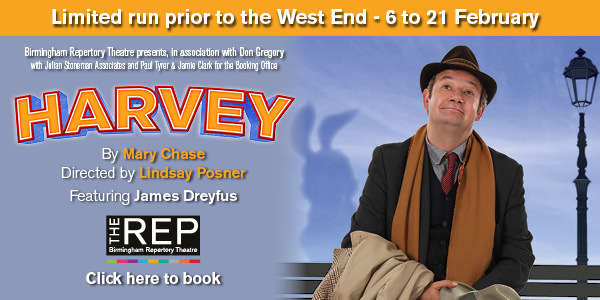 Go see. There’s never been a better time to propose. Probably. We've done no research into that whatsoever, but one of the largest champagne gift collections has landed near the city centre and if there’s one thing we know about popping the question, it's that receiving copious bottles of the sparkly stuff is a consequence of a “yes”. 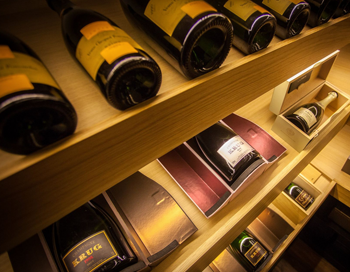 In addition to The Drinks Emporium's spectacular selection of bubbly it boasts a staggering array of premium and hard to source spirits, boutique beers and unusual wines. Rotating tasting machines and a climate controlled Fine & Rare room makes Birmingham’s newest opening a true destination. Oh, and they have a bottle of bubbles worth £17,500 if you'd rather buy that than, say, an Audi A1. You might be struggling to think past December 25. That's a well known biological problem associated with pre-Christmas homo sapiens so don't worry about it and allow us to assist. 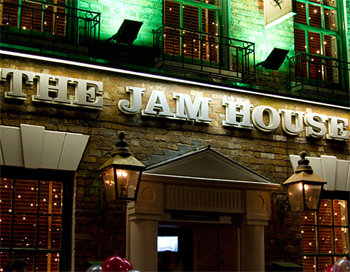 We've been asked by the fine people at The Metro newspaper to reveal our top Brum picks for New Year's Eve shenaniganery (which is unlikely to be a word but the English language is a good friend of ours and it won't mind) and we've obliged them. So for 1920s flappers and dappers fun in Edgbaston, a Studio 54 takeover in Harborne, cocktail-laden festivities in the Jewellery Quarter and six other top picks, simply head right this way. Get your plans in place now and you won't need to worry about it, like your Gran maybe used to say. Indian food in Birmingham. You’ve probably got some pretty strong views on your favourites, right? Like you, we need a bit of convincing to make a move from the comfort of the known. 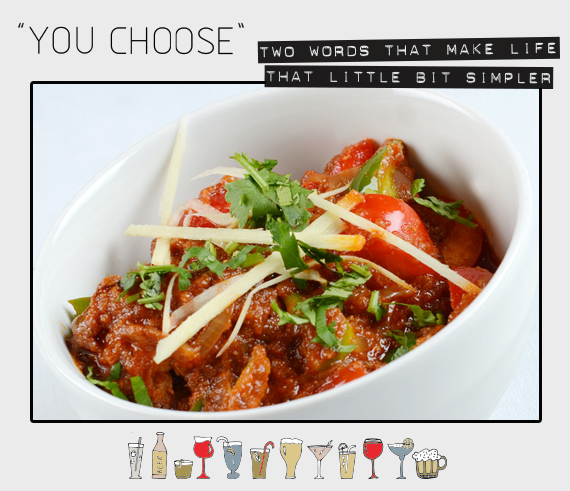 Enter a sizzling tawa of prawn tak-a-tak, a rich bhindi (okra) masala and this week’s “You Choose” victor, Karahi Chicken at Blue Mango. Stir-fried in a traditional iron dish with a spicy masala of garlic, onions and tomatoes, the meat is tenderised and the flavours set off by just the right measure of crushed coriander seeds and crispy red chillies. The results are both a mature and moreish flavour. With assured service and an emphasis on traditional cooking methods to showcase punjabi country fare, we can see why Blue Mango is doing a lively trade, even on a Monday. Full menu.